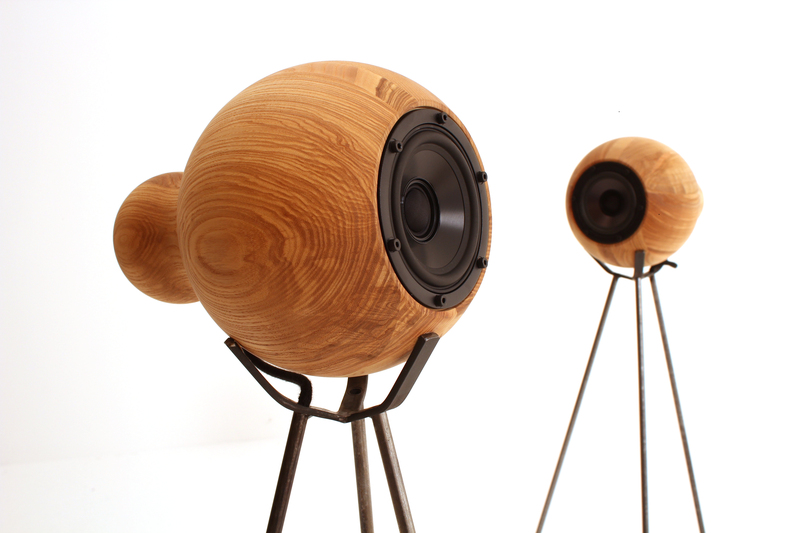 WoodUp Bloob: beautiful wood grain, smooth textures, and pure authentic sound. WoodUp is thrilled to announce our cooperation with media-artist and composer, Jan-Peter E.R. Sonntag (N-solab & sonntag klangfilm berlin), creator of amazing sound installations in search for the link between the human body and technical systems. Bloob, the first product resulting from this cooperation will be launched October 14 at the Biennale Interieur 2016, in Kortrijk, Belgium. Bloob is a drop-shaped speaker system turned out of solid wood, applying a 3500 year-old traditional carpentry technique. The Bloob sound system is completely designed, developed, and manufactured in WoodUp’s workshop in Berlin, Germany under high-quality standards, with a selection of the finest wood varieties. 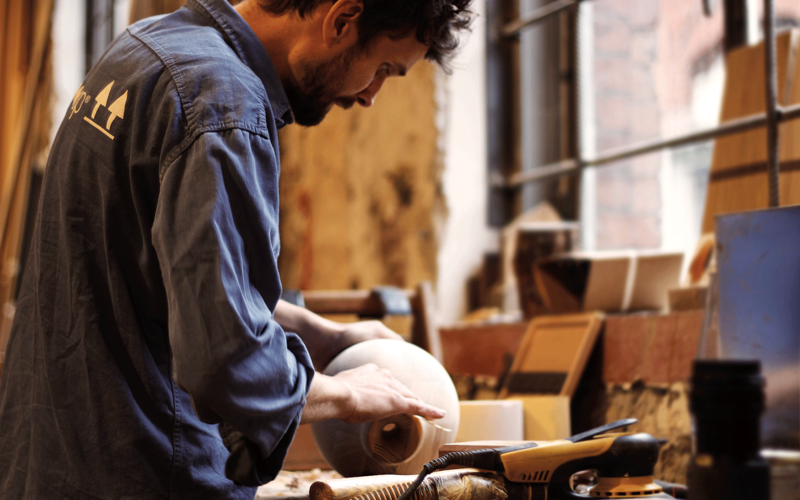 By combining natural materials, minimalistic design, and traditional craftsmanship, WoodUp aims to create inspiring and long lasting objects. The Bloob system not only creates a unique visual and haptic experience, but also delivers mind-blowing High-Fi sound. Bloob’s innovation is in its solid wooden body, turned into the shape of a drop, which allows for the incorporation of a base-reflex tube. The speakers excite the ears, eyes, and hands with their curves, and their coaxial system allows a unique three-dimensional sound experience. Bloob pushes the limits of perception by combining beautiful wood grain, smooth textures, and pure authentic sound. To make music sound and look amazing, the Bloob system comes in two colors and with a variety of stands to hold, hang, or place the speakers neatly as part of a curated desk set-up.